I own a variety of lens solutions for my iPhone to get a fish eye view of things around. Sometime though, I am without a lens and a shot should be best suited to have a 170 degree round impact. Most app solutions I have played with will do an acceptable job, generally though their output is rather low resolution. An app, InstaFishEye, is on the ‘simple’ side of impact but gives me a full 2048 x 2048 (using the built in share to Instagram is only 612 x 612) photo in my iPhone photo library. The view finder of InstaFishEye shows a simple fish-eye effect added so you have an idea what you will have to use/edit later. 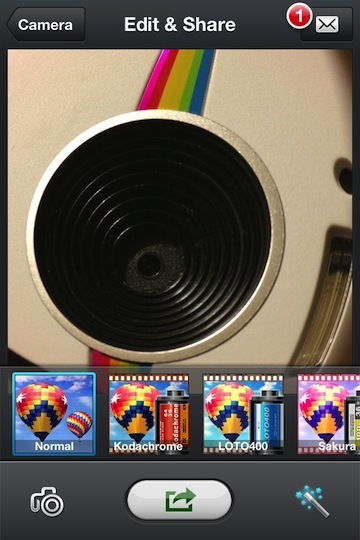 After a photo is taken, there are tuning options via buttons on either side of the shutter/next button. On the left is 2 additional fisheye lens effects as well access to the original photo without any effect added. 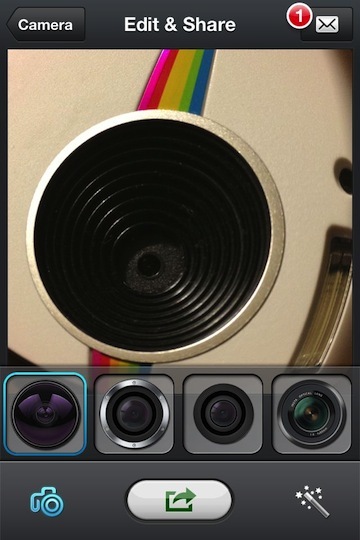 InstaFishEye offers a variety of simple full image filters to add a bit of age or uniqueness found through retro films. 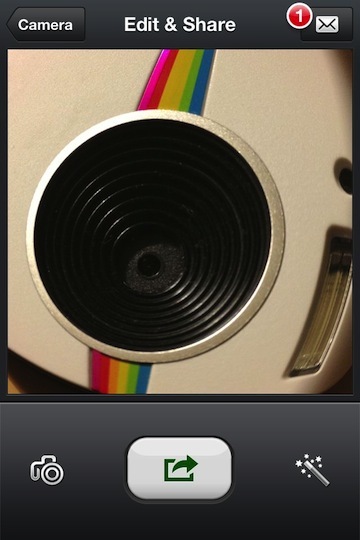 As I said, save the photo to the iPhone photo roll is 2048 square. 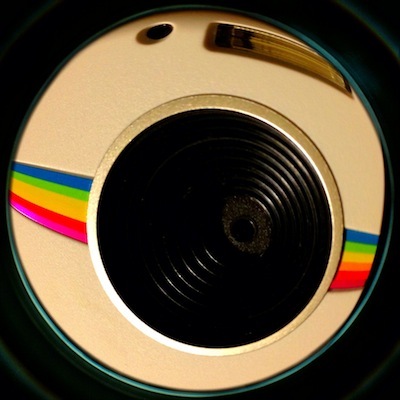 Sharing can be done directly through InstaFishEye to Instagram, Facebook, Twitter and email.